What is cloud backup & sync for your media? Before talking about how to manage phone photos, you must understand what is on your mobile phone. Mobile phones can be paired with modern photo backup and sharing applications like Google Photos, Photos on iOS, Facebook, Flickr or Microsoft’s One Drive. All of these applications however can be divided into two major subgroups: backup and sync applications and backup only applications. Backup only application will backup all the media found on your phone, but do not provide synchronization. This means that if you delete a photo from your phone, it is NOT deleted in your cloud storage. Also, if you delete a photo from your cloud storage it will NOT delete the photo from your phone. With backup only applications your cloud storage area is completely separated from your phone storage and the backup service moves your photos only one way: from your phone to cloud storage. Applications in this category are: Yahoo’s Flickr and Microsoft’s One Drive. Backup and synchronization application include the backup functionality like described above but in addition they keep your media on your phone synchronized with the cloud storage. Synchronization means that if you delete a picture on your phone, it will also be deleted from your cloud storage and any other device that is being synchronized with the same cloud storage account. 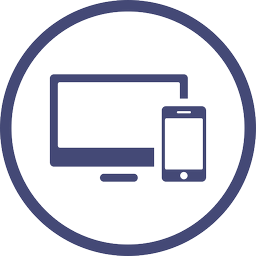 With backup and sync applications your cloud storage is in sync with your device and media files travel both ways. Applications in this category are Google Photos and iCloud. These applications help you manage phone photos. The more sophisticated applications for managing your phone photos, like iCloud and Google Photos do multiple device backup as well and they try to figure out how much content to actually leave on any device depending on it’s available size. 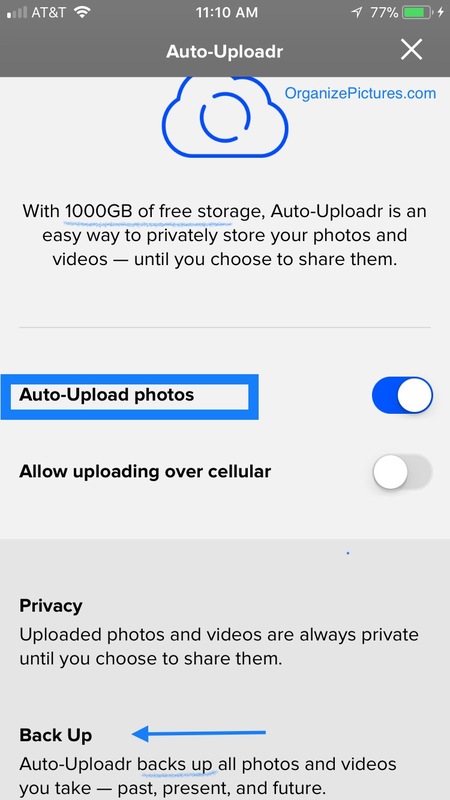 In addition they also provide a feature that will slowly remove older pictures from your phone after they are being backed up so that you have more free space on your phone for more pictures. I am under no illusion that big companies, while genuinely trying to solve customer problems, must also profit from you when you use their services. Being able to manage phone photos, requires you to grasp one very important shift in thinking caused by these media backup applications. These services, especially the backup and sync applications, assume you want to transfer all your photos to these cloud services, so that your cloud media collection becomes your central place where all your media is combined. Instead of having your own computer as the central storage and management place, cloud storage becomes your main storage area for all your media. Some people are ok with this change, most people have no clue, while others, including me, do not want this shift from personal computer to cloud storage. All the mobile and desktop apps they offer are made with the goal to have all your media stored in their service and not on your computer. This way, as you need more and more space, a lot of people are forced into paying for more storage space way beyond the free space offered at the beginning. In order to manage phone photos, these companies want you to use only their services. I for one, have learned over the years that technology fads come and go while technology keeps advancing very fast. One recent case in point is Google who has discontinued Picasa as a desktop organizing tool and focused on Google Photos which is their cloud application. Essentially what works today, might not work tomorrow which means that when it comes to your precious memories you should not keep all your digital eggs in only one basket. Learning how to manage phone photos and organize your media collection on your computer is worth your time. I have always advocated that you be in charge of your media collection even though it requires work and diligence. This way when your cloud service shuts down, all your digital memories are safe and backed up locally and offsite and you simply don’t worry. There are several problems when you try to combine your cloud backup with your media collection on your computer. Let’s look at some of these problems. As you create photos and videos on your phone or tablet, they are being copied in the cloud where there is virtually unlimited space (as long as you’re willing to pay) so you keep taking pictures. As your phone gets full, your old photos are being deleted from your phone to make room for new ones. This way you continue creating media files to your heart’s content. You don’t have to worry about how to manage phone photos yet. This is very easy, convenient and powerful because it automates the difficult tasks of transferring photos to your computer and backing it up. Everything works great until you want to transfer your photos to your computer and organize them according to your organization scheme. If you are trying to do the right thing and keep all your photos on one device with lots of storage, then you start running into problems. Backing up to the cloud is not a problem but syncing can be. Google Photos for example, is a backup and sync service which means that if you delete your photos from your phone, the photos are deleted from cloud storage as well. 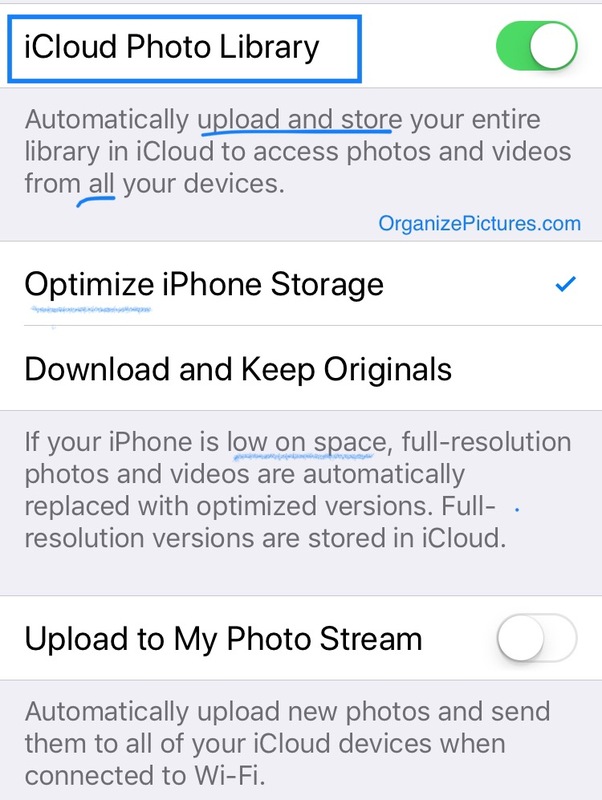 This means that once you transfer your photos from your phone to your computer, you can’t really delete your phone photos in order to prevent duplicate photos on the next transfer. If you delete your photos from your phone, your cloud stored photos will be deleted as well. Essentially, this means that with a sync application you can’t keep photos in your cloud storage and NOT on the phone. Freeing of phone space is only done by the service itself without your control. Let’s take one of you phones as an example. On the one hand you have pictures on your phone and in the cloud at the same time while on the other hand you also have pictures in the cloud that are only in the cloud and not on the phone. Now, add in your other phone, your kids’ phones, your tablet and your regular camera…if you still have one. You can have any combination of devices that store copies of your photos…your phones, your tables and the cloud. Some store a portion of your photos, while the cloud can be made to store all of your photos or parts of it. Now try to transfer photos from your phone to your computer. Plug your phone into your computer and transfer them. Which photos are you actually transferring? Do you want to transfer the photos from your phone or the photos you have in the cloud? Or both? And what if you have already transferred some photos from your phone let’s say a month ago and you didn’t delete them from your phone and when you transfer them to your computer you will get duplicate pictures. What do you do with all these duplicates? How about transferring photos from another phone or tablet now? The problem of multiple copies on multiple devices is very clear. Secondly, all the photos on your phone and in the cloud there one big pile of files. There are no folders or any other way to physically split the storage of these files. This makes it very difficult to organize this massive collection of media. This situation makes it impossible for you to separate your photos into different piles. In addition it’s hard to separate the photos on the phone from the ones that are only in the cloud. And it’s impossible to separate the ones that you know you have downloaded already to your computer. There is no way to know what you have done before so you know what to do now. This approach to media file organization originates with Apple’s decision when they have created the original iPhotos application and later the Photos application on the Mac operating system. Long ago Apple decided that photographers do not know how and shouldn’t manage folders. This means that all the photos that come from the camera or a phone are all stored into one pile of files and the user does not have any control over the folders or the sections that they’re classified as. All modern media cloud storage solutions follow the same paradigm. All your files are stored as one big pile of files into some unknown storage device. You have absolutely no control over this storage…you can only add more or delete some. 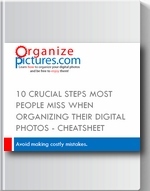 The only way you can organize all your photos is by the meta-data inside the image files. The only notable exception is Microsoft One Drive which implements both folders and albums which is great for adding try file separation. What about albums? They help you organize right? Albums are virtual groups in which you can place your media files. They are not physical folders, but virtual groups. What do I mean? Computer folders are physical sections on a physical hard drive. This means that one file can be in only one folder at a time, unless you make a different copy of this one file to place in another folder. With folders you can physically separate your files so you can divide them into categories. Albums on the other hand work more like tags, which means that the same image file can reside in multiple albums at the same time without having to create a copy of that image file. While this is great and efficient with respect to storage space, it is confusing when it comes to organizing your files. Since your one image file can be in multiple albums, it’s difficult to know which photos have been assigned to albums and which ones have not, and it’s also difficult to know which photos have been assigned to multiple albums. You can easily see that this setup causes lots of confusion when you try to keep your media files organized, meaning that your organization structure can easily tell you where your files are and where they are not. Albums are useful and they are actually the only organization tool you have for your phone and cloud storage areas. However, as mentioned before, it is impossible to know (unless you remember) if any of your photos have been added to an album or not. Image metadata is information about the photo or the video that you have taken and this information is buried inside the file itself. Software like photos and iCloud and Google Photos can read this information inside the image file and provide a way for you to use it to organize your photos. All of the phone cameras provide a way to embed image metadata inside the photo files themselves and in addition they all seem to record GPS information or Geo tags inside the image files. This way you can organize your photos by date because the date is inside the file but also by location because the location is also embedded inside image file. But that’s it…just date and geographical location. This all sounds great and it is very useful until let’s say one day you take photos at two events. Let’s say you go to your son’s soccer practice and then later on you go to your daughter’s ballet lesson. With the metadata information that you have inside your pictures there is no way for the software that allows you to automatically organize these pictures to distinguish between the pictures at the soccer practice and the ones at the ballet. It is only you that can distinguish between these pictures because you alone can look at the pictures and interpret the meaning of the pictures. Solution 1: Use your phone as a camera only and turn on Google Photos Uploader for sharing photos. If you have lots of photos, like I do, backing up using one of the major photo backup apps can get really expensive let alone not completely reliable. My approach has always been to store all my media on my desktop computer and securely back it up. Therefore my favorite way is to use our phones as cameras, which means they are not backed up in the cloud. I do it the old fashioned way, plug the phone in my computer, transfer all the media and then erase the media from the phone. After organized my my photos on my desktop I automatically upload my best photos to Google Photos cloud backup and sharing. This way there are no duplicates and all my photos stay on my desktop. It is free and it allows me to keep my desktop as the main media collection organized efficiently. This means you turn off all backup on your phone, either iCloud or Google Photos. Drawbacks:The main drawback is that when I delete my photos from my phone, I do not have them on my phone until I upload my best ones on Google Photos. The other drawback for me is that Google Photos doesn’t really store RAW photos, which for me doesn’t really work. This is why I only upload selected JPG files to Google Photos for sharing purposes. If you want to have your photos accessible from your phone but still transfer them to your computer and delete them from your phone, you need a simple media backup service and not a sync service. One great option is the Flickr phone app which will automatically backup all your media from your phone. 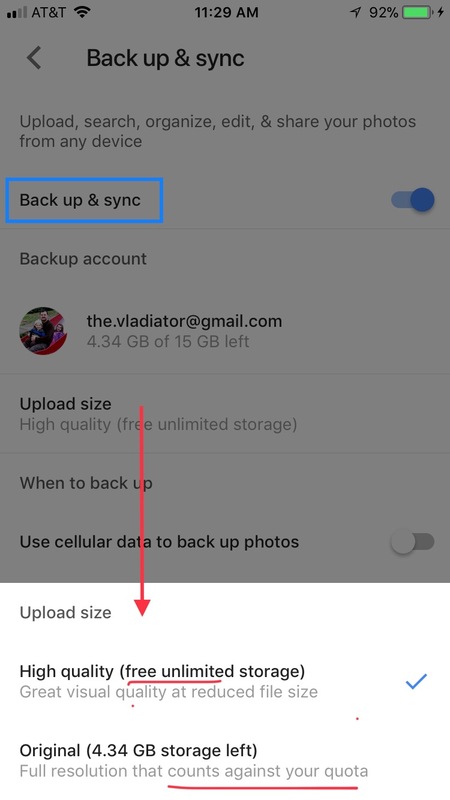 The big difference between Flickr and Google Photos and iCloud is that Flickr only provides backup, which means that once your phone photos are backed up, you can delete them from your phone, but still be able to access them in your Flickr cloud storage. This way, after Flickr backs up your phone photos, you can also transfer them to your computer and then delete them from your phone. Drawbacks: You need cell phone coverage to access your Flickr cloud storage. Also you are limited to 1 Tb free space, which is not really a limitation. If all your devices are Apple, you are already used to paying a lot of money. So…just pay something more for extra storage on iCloud and then turn on iCloud’s features on all devices. It works well most of the times and it will keep all your media synchronized on all your devices. 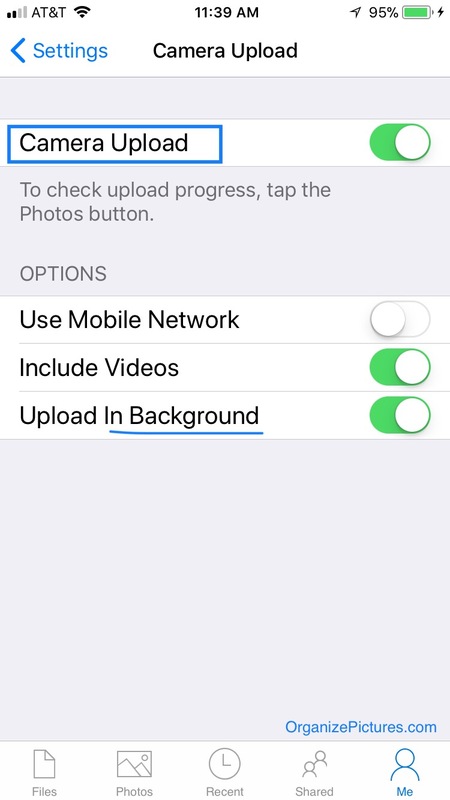 Turning on Photo stream will make your latest photos from any device appear on all other devices, while iCloud backup will upload new pictures when connected to WIFI and plugged in. Drawbacks: The first drawback for me is the price. For me, 2 Tb of data costs $10 per month. The other drawback is that you have to use the Photos software on your desktop which doesn’t really allow you to organize your pictures. When Photos gets too slow because you have too many photos and videos, you just have to buy the next Apple computer. Apple devices work well when you do it the way Apple wants you to, so if you play nice, things mostly work. Thirdly if you use a PC, like I do, the iCloud integration is clunky. Please don’t get me wrong! It is difficult to manage phone photos and not having to worry about how your files are stored is a good thing. However, not being able to organize your photos on your desktop computer so you control your media collection will be frustrating in the long run. It will be devastating though when these services will cease to exist because their companies may choose to invest in the next fancy technology. I have over 1000 pictures on my phone and they are a mess. I would like to transfer everything out of my phone onto my Picasa program, erase them off my phone, and organize and clean them up on Picasa, then transfer only the best ones back onto my phone… not sure Picasa is still working. Not sure how to do the transfer or how to delete them on my phone. Can you simplify it for me by outlining each step. I have an Android Galaxy S7 . Thank you I enjoy your articles. Joan…I will answer to you by email, but in summary, you transfer your pictures as you would transfer them from any other camera.